Certain fabrics are more difficult to hoop than others or should not be hooped in the first place, since hooping can damage that fabric. Hooping ready-to wear garments is difficult or impossible due to seams, narrow areas or buttons/rivets. When using this Viking Metal Hoop you won't experience these problems! 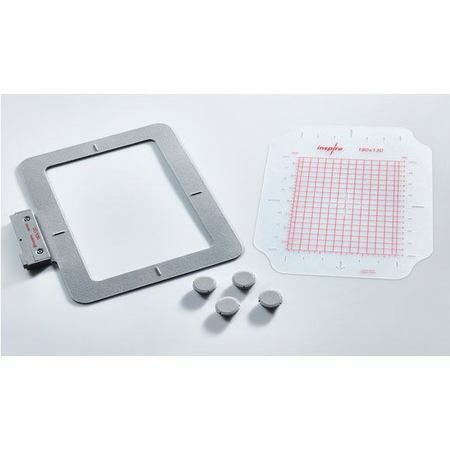 When you want to embroider on quilts or other projects where you do not want residuals from stabilizer on the back side, the Metal Hoop 180x130mm is perfect! Embroider without stabilizer. Embroidering several designs after each other or doing endless embroideries is easy, just remove the magnets and move the fabric.